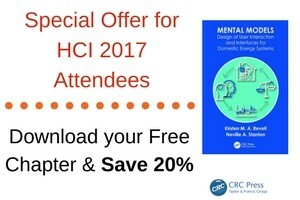 HCII 2017: See you soon in Vancouver! We look forward to seeing you next week in Vancouver, Canada, one of the most attractive metropolitan cities in pacific coast of North America. The conference and exhibition will be held 9-14 July at the Vancouver Convention Centre. Three nearby hotels are the official HCII2017 hotels. An impressive number of about 1800 individuals from 59 countries are participating in this truly international in scope event, where the work of the world’s foremost leaders in the field is presented. Vancouver’s top destinations and attractions include the beautiful Stanley Park, the bustling Gastown district, renowned shopping on Robson St. and within easy access to an incredible array of arts and entertainment. The web and iCal versions of the program will be updated regularly before the conference and before the start of each session during the conference. The 30-volume Conference Proceedings are published by Springer in the Lecture Notes in Computer Science (LNCS), Lecture Notes in Artificial Intelligence (LNAI) and Communications in Computer and Information Science (CCIS) series, and are available on-line through the SpringerLink Digital Library (http://www.springer.com/lncs and http://www.springer.com/series/7899), readily accessible by all subscribing libraries around the world. All volumes of the Proceedings in PDF format are also included in a USB Drive provided in your registration bag. They are also available for sale from Springer in soft cover print format. Ben Shneiderman, Distinguished University Professor in the Department of Computer Science, Founding Director (1983-2000) of the Human-Computer Interaction Laboratory, and a Member of the UM Institute for Advanced Computer Studies (UMIACS) at the University of Maryland, USA, will give the Keynote Speech during the Opening Plenary Session on Tuesday, 11 July 2017, 18:00 hrs. HFES 2017 is your chance to hear and discuss the latest human factors/ergonomics research and application. Collaborate with esteemed experts in human-computer interaction, user experience, and human-system integration in the context of domains such as automation, cybersecurity, AR and VR, robotics, health care, and more. HFES 2017 takes place October 9-13 at the JW Marriott in Austin, Texas. View the online preliminary program at http://bit.ly/HFES2017_PrelimProgram. Registration opens the week of July 10, and early bird discounts are available through August 28. Visit the Annual Meeting page at http://bit.ly/HFES2017_Info for complete details.